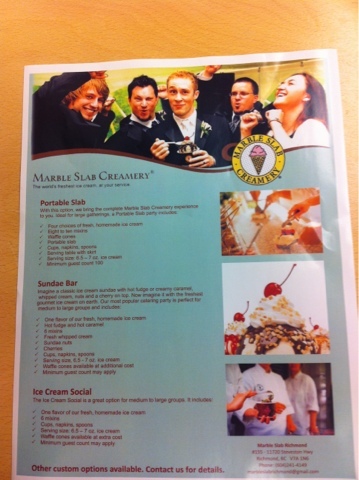 Marble Slab Creamery – Get Catering and Grow Sales! So, it’s holiday time. Here in Vancouver it’s cold. It’s dark. It’s rainy. Portable Slab, sundae bar, ice cream social – we bring the experience to you. You can also order custom cakes (catering!) – Imran loves this part of his business. Says it’s the only way he can make money. Out the back door. I must remember to come by and drop him one of my books as a thank you for making my day today!